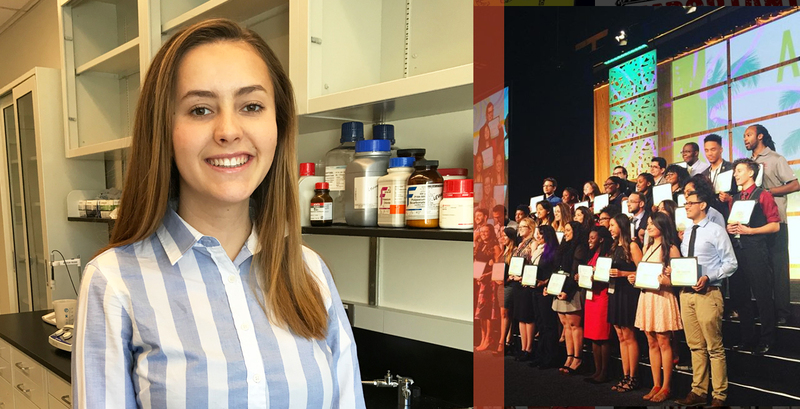 "I've been able to develop as a scientist while working in a lab at Memorial Sloan Kettering"
Macaulay is thrilled that Tiffany Merlinsky ’19 (Hunter) has won scholarship from the John P. McNulty Scholars Program for Excellence in Math and Science. The program provides unique opportunities for leadership development, and hands-on research experience at the undergraduate level. In addition to her academic and research interests, Tiffany has been a member of the Hunter Hawks cross country team for 3 years.